The father and daughter dance has to be one of my favorite moment to capture at a wedding. Probably the most search wedding photos in Charleston, SC. Documenting this moment like any of the reception events requires a good knowledge of lighting and panning and being unobtrusive. Yes, these are the precious moments you want to let the father and the daughter in this situation have their private moment while the groom, family, and friends also enjoy this special occasion. Yes, it is very interesting to me being a wedding photographer for over 18 years here in Charleston, SC knowing what and how my competitors capture these moments. Often time while looking at blogs or a videographer videos, I often see the photographer using a prime short focal length lens and being very close. As you can imagine you have the videographer some and the photographer being a part of this celebration not exactly private. That is not the way for me to document this and in courtesy and respect to all my wedding clients and family and friends, this moment is not about me. After all, a great storyteller has confidence in his equipment, lighting and does not mind carrying a very long focal length zoom lens. Again I am supposed to be a fly on the wall and documenting it perfectly. 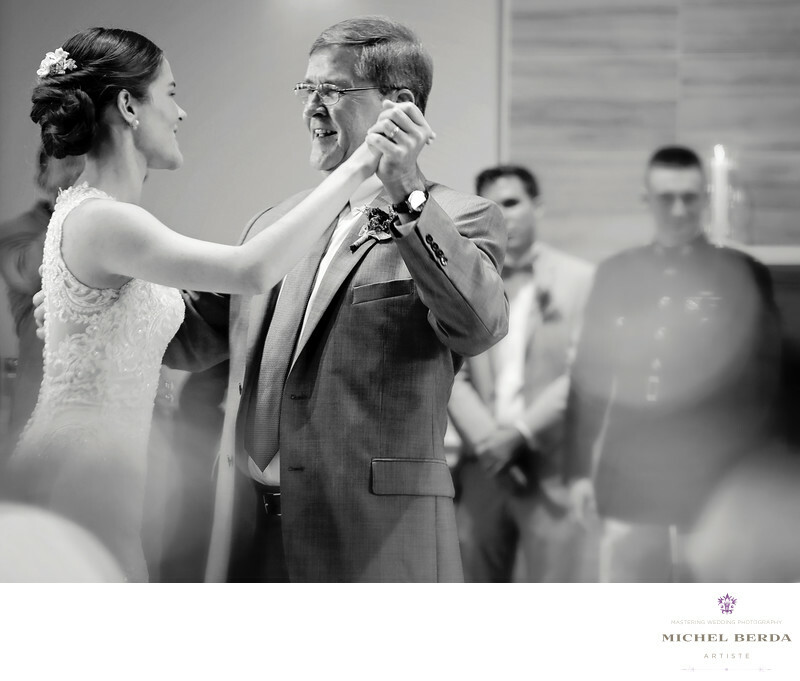 ..When in the process of looking at wedding photos in Charleston, SC you will often time see the perfect emotion the father and daughter have together by having the dance floor free of paparazzi. That is exactly how perfectly your wedding day should be documented because after all, it is your special day. Keywords: Charleston (1179), Michel Berda (1140), photographer (1125), Wedding Photographer (1254).